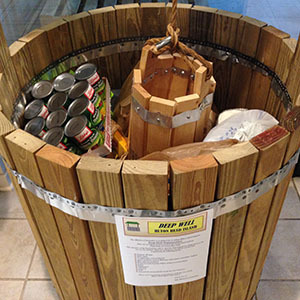 Church-wide Mission Project for April: Let’s stock ‘our’ well with needed goods. Our local social service agency serving our Hilton Head Island neighbors is in need of ‘wish list’ items for their pantry shelves. Our church family is asked to participate in our April Mission Project to help them restock their shelves with specifically requested items. A complete list is below. At present, Deep Well is very low on personal hygiene items shown below. Check the list below to see what their needs are. Bring items to the Family Life Center foyer and drop them in our ‘well’ anytime during the month of April. The Director of The Deep Well Project, Sandy Gillis, will speak at our Mission Moment during the service on Sunday April 7th. Read about Deep Wells work with their ‘Livable Housing Program’ and ‘Furniture Program’ and other projects here: deepwellproject.org. Deep Well is currently very low on personal hygiene items shown in the “non-food” part of this list. The ideal size for these items are smaller sizes… travel size or slightly larger… so we can share with many clients. Prayer Support: A Prayer Chain is being fashioned for around-the-clock prayer throughout the Karios Prison Ministry weekend. Could you pray for 30 minutes or more? 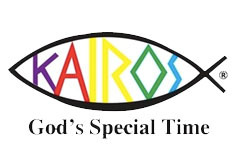 If so, please let us know by filing out the form below and indicating the time(s) you plan to be in prayer when the Kairos Prison Ministry is taking place at the prison in Ridgeland, SC. You can pray any time during the 24-hours each day between the beginning time of 4:00 PM Thursday, April 25, through the events end Sunday, April 28, at 4:00 PM. Indicate the 30 minutes (or more) that you would be willing to pray for these men on the form below and return to the church office. It is our goal to have every 30 minutes filled with someone in prayer for Kairos Prison Ministry that weekend. You will find “A Prayer Guide for Kairos and for the Incarcerated Participants” in the foyers of our worship centers. Bake Cookies: Home-baked cookies are a tangible expression of God’s love and His concern for inmates who seldom encounter love in their daily lives. Pray as you bake the cookies that the Holy Spirit will touch the hearts of these men. Through prayer, the cookies you bake will become an instrument of God’s love, too. In order to comply with prison guidelines, cookies are to be home-baked by specific recipes. Along with Guidelines for Baking and Packaging and recipes for Peanut Butter, Sugar, Molasses and Chewy Oatmeal cookies are available in the foyers of our Family Life Center, on the back of the Prayer Guide. The deadline for returning cookies to the Family Life Center is Wednesday through Sunday, April 18 – 21, 2019 – NO LATER THAN APRIL 21ST (Easter Sunday). The Mission of the Kairos Prison Ministry is to share the transforming love and forgiveness of Jesus Christ to impact the hearts and lives of incarcerated men, women, and youth, as well as their families, to become loving and productive citizens of their communities. 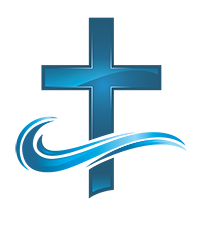 The Ministry is conducted, in cooperation with chaplains of correctional institutions, by teams of laity and clergy who are qualified by their experiences in Christian renewal movements. The dates for the trip to Calgary, Canada, are August 10 through August 17, 2019. As in the past few years, we will be helping The Junction Church with some outreach sports-style camps for children similar to Vacation Bible School. If you are interested, please call Nancy Staab at 843-290-6503 for more information.